The first Walt Disney World D23 Expo announcement has been made. 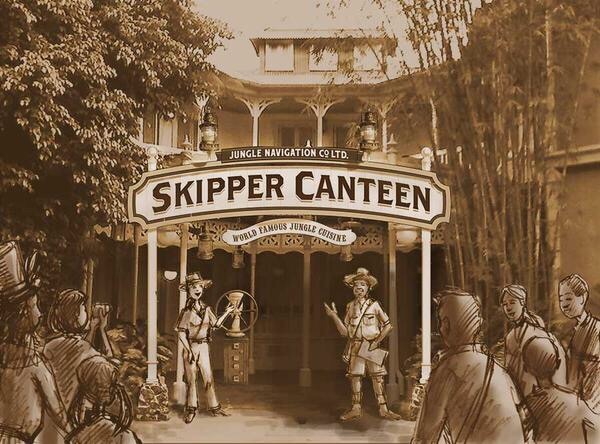 The Jungle Skipper Canteen is headed to the Magic Kingdom! While full details are scarce still, the restaurant will be located in Adventureland, in the former location of the Adventureland Veranda. 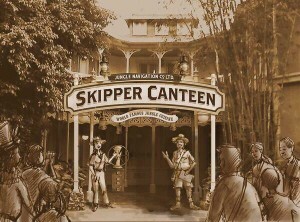 Guests who wish to dine at this establishment will get to enjoy “World Famous Jungle Cuisine”for both lunch and dinner served by Jungle Cruise skippers in one of the many themed rooms, including a crew mess hall or a once hidden, secret meeting room of the Society of Explorers and Adventurers. Menu items will be inspired by flavors of Africa, Asia, and South America. Guests have been seeing this area under construction for months, so it’s nice to get official confirmation that the rumors of a Jungle Cruise-themed restaurant is indeed coming to the park. It won’t be long until this restaurant officially opens–it is expected to be open by the end of 2015. Stay tuned and I will release more information about this exciting, and what should be extremely popular restaurant as I learn it.